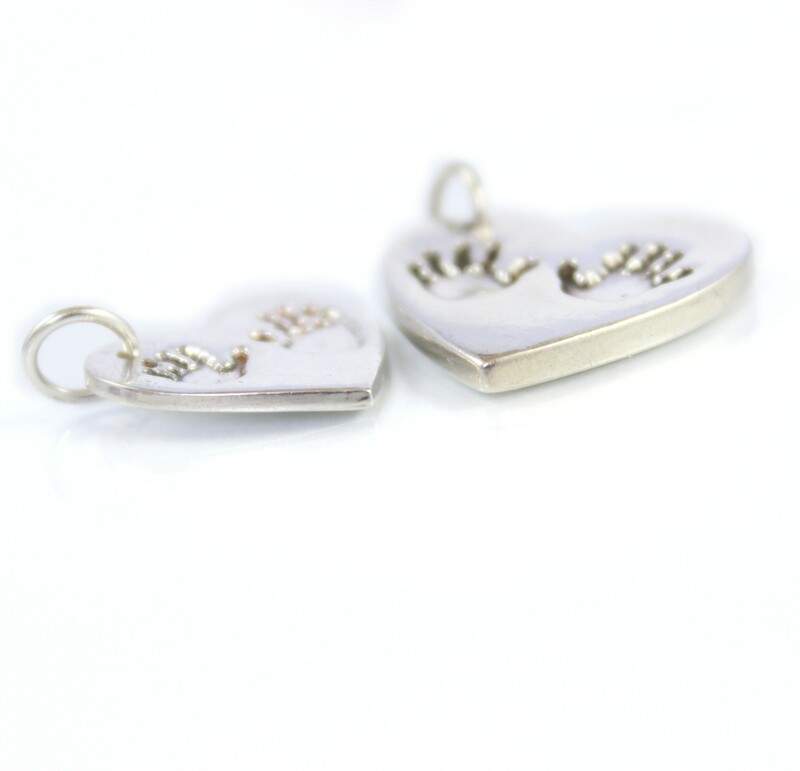 A pure silver hand print and footprint pendant, hand crafted using traditional jewellery making techniques and using your loved ones miniaturised real prints. These silver pendants make the most precious of gifts and sentimental keepsakes. Would you like a sterling silver chain with your pendant? A chunky silver hand print and footprint pendant, hand crafted using traditional jewellery making techniques and using your loved ones miniaturised real prints. 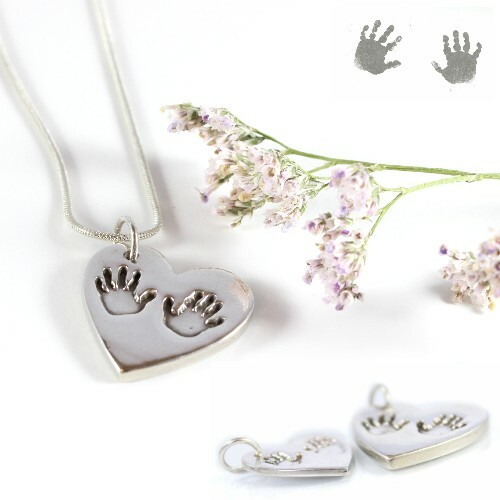 These silver hand print pendants make the most precious of gifts and sentimental keepsakes and are twice as thick as standard pendants, giving them a gorgeous weighty feel. Made with 99.9% pure silver, your chunky silver hand print and foot print pendant will have a higher silver content than sterling silver. Your loved ones actual prints are scaled down to fit on to whatever size and shape silver you select. 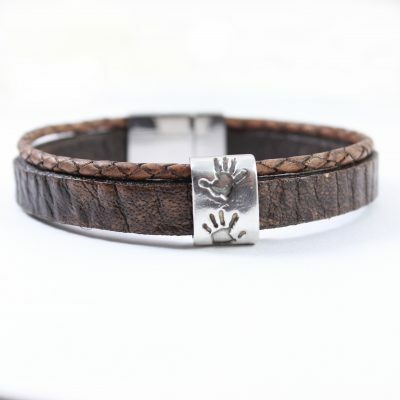 The hand prints are minimised to fit your silver foot print jewellery. So, we can work with prints from any age and any size, from Grandmas’ to newborns! XL – which will hold up to 3 prints. We will send you a mess free magic wipe kit to take the prints at home. The kits are very easy to use and come with comprehensive instructions. After scanning or photographing your prints, you can send them by email. Which means you can keep the original prints as an extra keepsake! 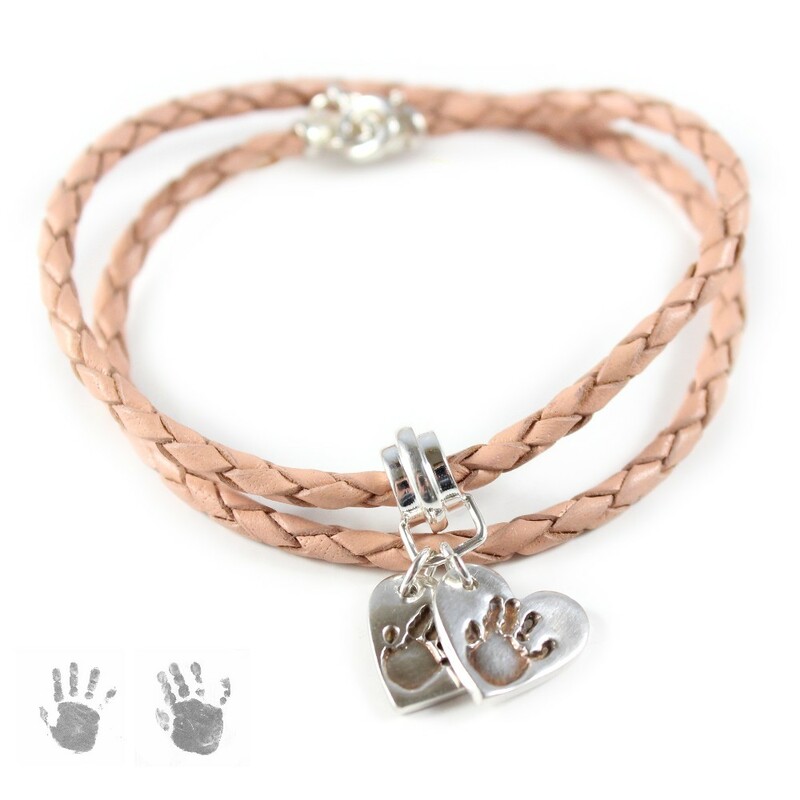 We realise that very often customers already have a silver chain they would like to use with their hand print jewellery. So we do not add to the cost by adding an unnecessary chain. However, you can select to purchase a sterling silver snake 1mm snake chain or fine trace chain. You can also opt to have your prints accented with a layer of 24ct gold, a stunning contrast between the 2 metals on your chunky silver hand print and foot print pendant. Delivery From when we receive your prints, delivery is approx 4 weeks. If you require your jewellery before this delivery guide, please confirm Impressions to Keep before you place your order.